Treyarch’s Call of Duty: Black Ops 4 Blackout has finally been released. Their Battle Royale mode, Blackout, will definitely steal a lot of players from PlayerUnknown’s Battlegrounds and Fortnite. There’s also Multiplayer and Zombie game modes available. Players always want to have the best possible performance settings for these Battle Royale games, as performance is everything in these kinds of games. You’ll want to use the most optimal settings, and we’ve got our take on that right here. First and foremost, ensure that you meet the minimum system requirements for Call of Duty: Black Ops 4. If your system doesn’t meet these, optimizing your system won’t help – you still won’t be able to play the game ideally. It’s preferred that you also meet the recommended system requirements as well. Upgrade your PC if necessary. If you’re playing Blackout on a laptop, make sure that the battery mode is set on “High Performance”. Also ensure that all your drivers are up-to-date, especially your GPU drivers as NVIDIA and AMD usually release new drivers ahead of these big launches. But if you have an NVIDIA graphics card, we recommend that you perform the following optimizations. Let’s start optimizing the game now. We’re aiming for 90 FPS on 1440p resolution with a GTX 1080. Please adjust accordingly. 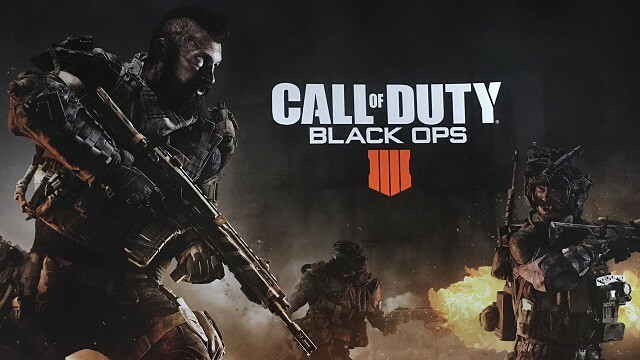 Launch Call of Duty: Black Ops 4. Set Display Mode to Fullscreen. Set Display Resolution to your monitor’s native resolution. Set Render Resolution to 100. Set Texture Quality to High. Set Special Effects Quality to Medium. Set Texture Filtering Quality to Medium. Set Model Quality to High. Set Screen Space Reflection to Off. Set Small Object Culling to Medium. Set Special Effects Shadows to On. Set Shadow Quality to High. Set Dynamic Shadows to All. Set Weapon Shadow to Off. Set Anti-Aliasing Quality to Medium. Set Ambient Occlusion Quality to Medium. Set Motion Blur to Off. Set Subsurface Scattering to On. Set Order Independent Transparency to Medium. Remember, these are our graphics settings. We used these to get 90FPS on 1440p with a GTX 1080. Ensure that Allow downloads from other PCs is off. If you happen to use Discord, then ensure that you optimize it as well to boost your FPS in all games, including Call of Duty: Black Ops 4 Blackout, while Discord is running. You can also turn off hardware acceleration in Google Chrome so that background applications executed by Chrome do not consume too many resources when you’re playing. You can also use CCleaner – the free version will do the trick. Restart your PC and enjoy an optimized gameplay of Call of Duty: Black Ops 4 Blackout! We also highly recommend that you invest some money in a better gaming monitor, gaming mouse and a proper gaming headset.